Historic artifacts often require conservation or preservation. Techniques are basically the same if it's furniture, a cradle, a sword, leather, books, etc. We'll be building a gallery of artifact restoration as quickly as possible! A 2002 acquisition of the Swan foundation, this circa 1640 cradle is a primitive functional wood piece that required reassembly and a few new structural pegs. 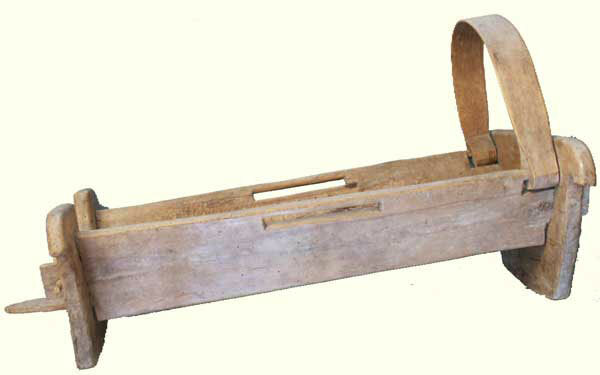 Pegs were crudely fashioned from sticks, as they would have been originally, and the piece was carefully reinforced. There was no original finish, so no finish restoration was required.